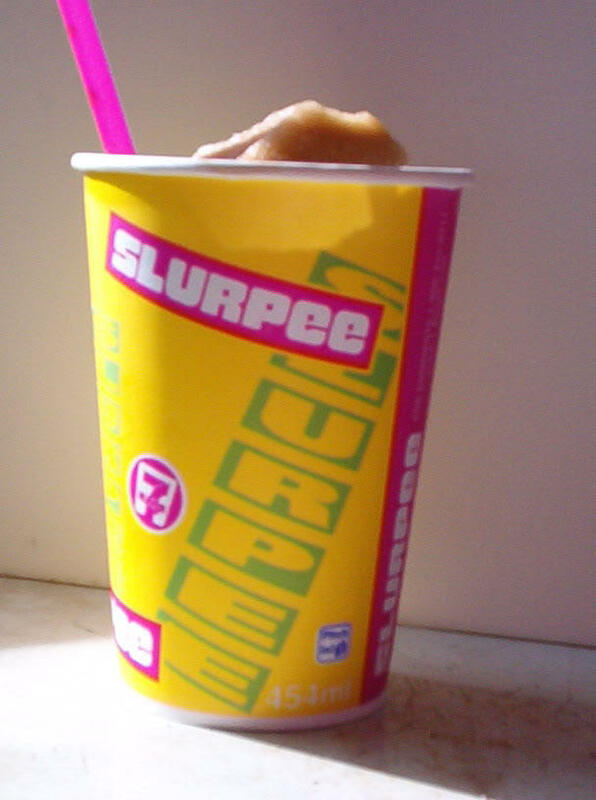 Thirty Minute Thoughts: Do You Get Free Slurpees? So throughout the summer I knew this was inevitable. My support was low and I wasn't receiving paychecks from Crusade. I had no car and knew that it was a vital asset for raising support. During our Ministry Partner Development (MPD) training I realized that I truly do enjoy sharing what God has done through the ministry I have been a part of and how excited I am to serve Him at the University of Florida. I saw that doing this in person only increased my passion and wish to have the opportunity to share with current supporters and future supporters in person. Thus a car is necessary. To supplement my income I applied for jobs all around town. I began at Home Depot and Target, thinking I could do stock and possibly work the overnight shifts to have the days free. Neither were interested, so I applied at a few more places and eventually landed the job at the haven we know as 7-Eleven! The hours are early--I am up well before the sun rises and I arrive at work while it is still mostly dark. I still go to bed late so I am not sure if this will catch up to me eventually. I have to told many people about this awesome place of employment (I actually do like working there thus far). The greatest thing about telling them is the questions they ask, of which the most popular is "do you get free Slurpees?" The answer behind this ultimate question is a simple...YES!!!!!!!!!! Well the catch is that I don't get them in the Slurpee cup like normal, paying customers, but I do get unlimited amounts in our courtesy cups though and that is fine by me. So in these days I am riding my bike, well my cousin's bike, to work, getting off work, relaxing for a little bit, and then the other fun job of finding Ministry Partners. God is faithful in so many ways and I am truly comforted in Him. He is true to His promises because He is true to Himself.